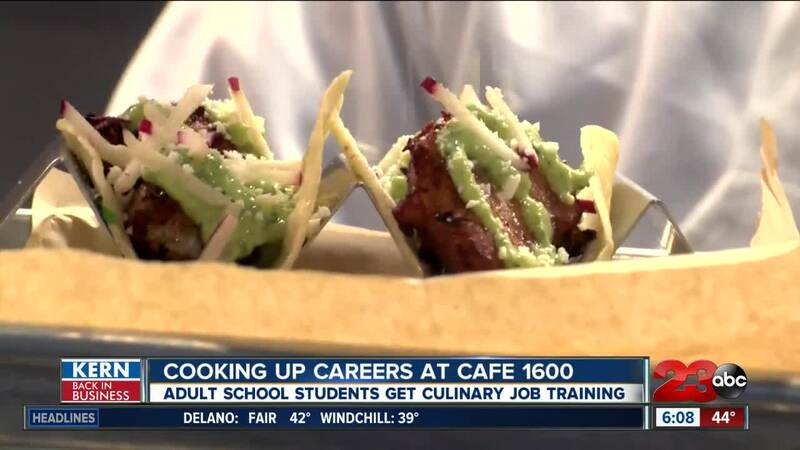 BAKERSFIELD, Calif. — Since 2015, students at Bakersfield’s Adult School have had the opportunity to join the job training program at Café 1600. In partnership with America’s Job Center, Bakersfield Adult School has been training 20-25 students each semester for jobs in the culinary field. Café 1600 is open Tuesday through Friday, 11 a.m.-2p.m. at 1600 E Belle Terrace, Bakersfield, CA 93307. Below is the Café 1600 menu.